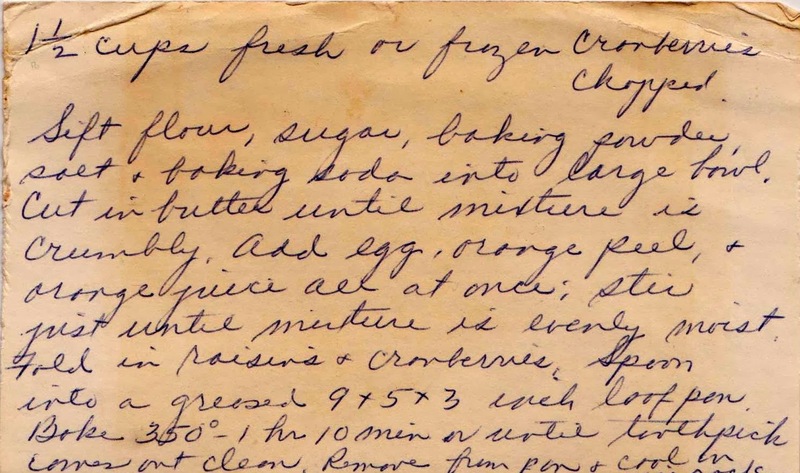 Are old recipes better than modern ones? Is gingerbread made from a 100-year-old recipe tastier and more authentic than one conceived last year in the test kitchen of Saveur? Many of us share a fascination with the past (culinary and otherwise), viewing what came before through a lens that often obscures any difficulty and struggle. Even though I'm probably guiltier than most, trying to uncover and discover forgotten tastes of years gone by, I do think that what we eat (and what we cook) reflects the era in which we live, much like theater or really, any of the arts, do. But there's something to be said for those recipes that endure, passed down through generations or, in the case of this cranberry bread, disseminated more widely via flea markets and estate and eBay sales. 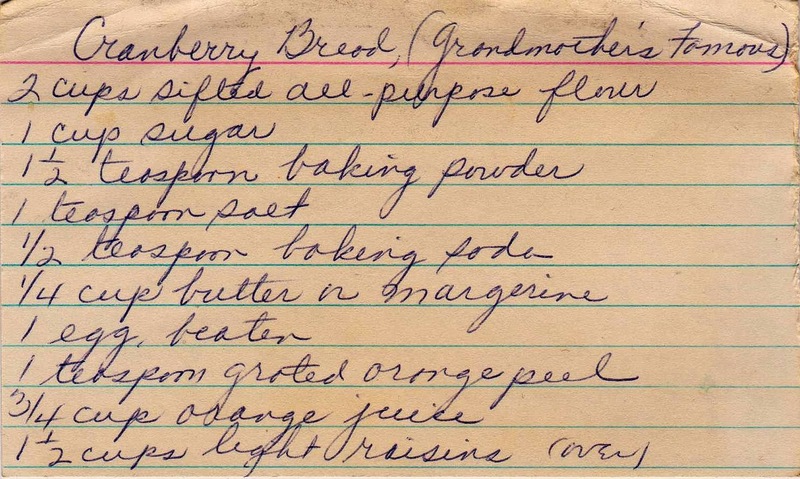 Cranberry Bread (Grandmother's Famous) is truly a treasure from the past. And perfect for the Thanksgiving table, or the morning after. 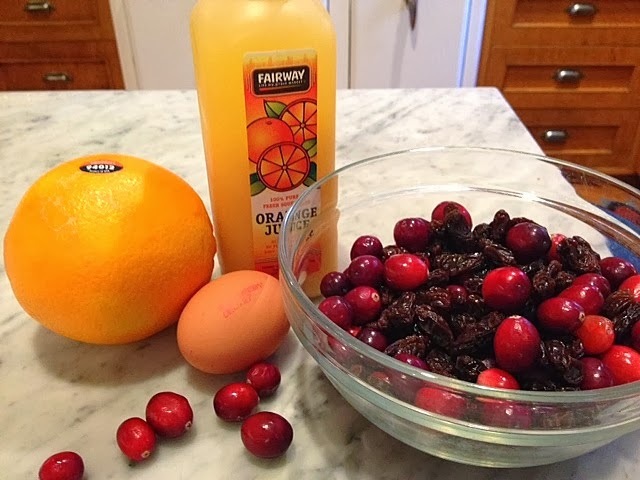 Cranberries can be frozen (just add frozen to any recipe), so it's a good way to use up any leftover berries. It's fairly simple to make, not overly sweet (typical of older recipes) and really delicious. 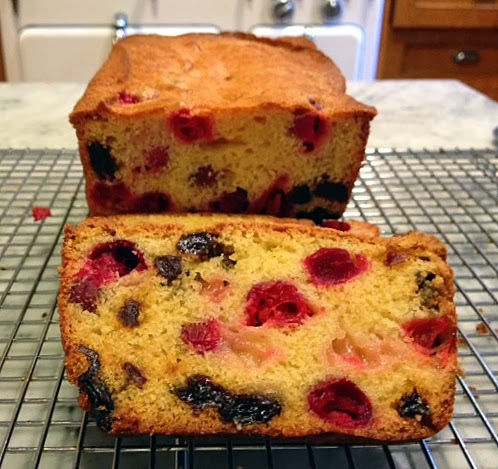 And it's so festive-looking, a moist yellow cake studded with the bright red berries. 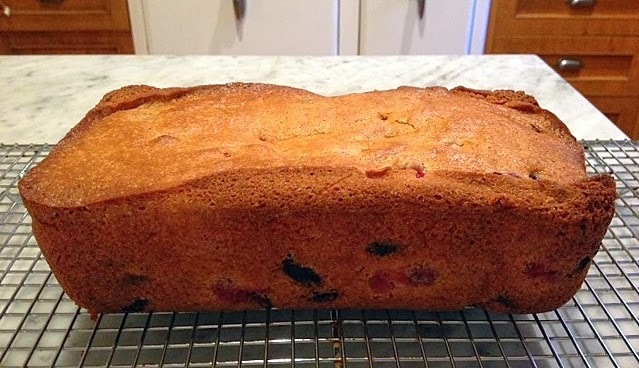 The orange zest and juice and the cranberries give this bread its wonderful flavor profile (though I'm sure grandmother squeezed her own orange juice). This bread is made rather unconventionally. 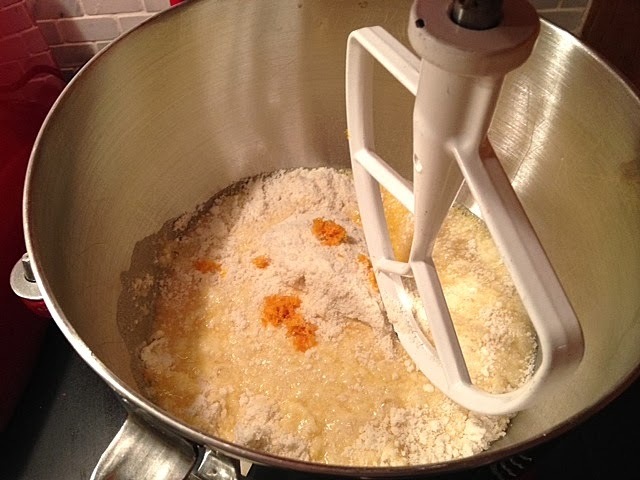 The butter is cut into the dry ingredients (think pie crust method) which I did in the food processor, and then the wet ingredients are blended in (done in the Kitchen Aide). Pour into a prepared pan. I used one of those new-fangled baking sprays, which is a combination of fat and flour. Alternately, simply grease and flour the pan. Bake longer than you think is necessary, at least an hour. Remove from the oven and let cool somewhat on a wire rack before turning the bread out to finish cooling. 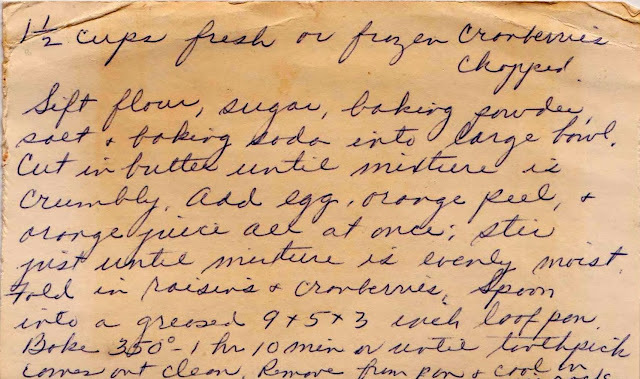 Production notes: I followed this recipe exactly, except I accidentally bought dark rather than light raisins. And I also did not chop the cranberries, a tedious and unnecessary task. 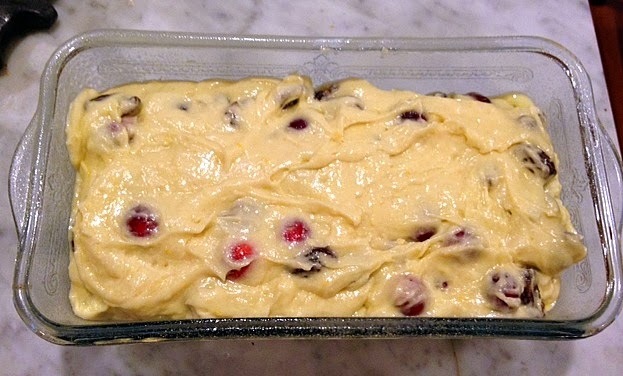 To prevent the cranberries and raisins from sinking to the bottom of the batter, lightly flour them before adding. This would be excellent if you substitute the raisins (I am not a fan) with a cup of chopped walnuts. I was looking for a good cranberry bread recipe. Cranberries are everywhere here on the cape! 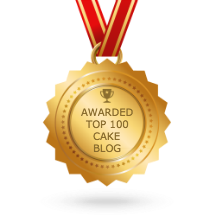 Vanillasugarblog -- This will not disappoint! Probably chopping cranberries was tedious back then, but a few pulses in the food processor would do the trick. Then the tedious and unnecessary job would be washing up. That's true, but I already used my food processor to cut the butter into the flour and I thought it too tedious to wash it twice! I do not like raisins....dried cranberries as a substitute? I am from Nebraska. My best recipes are out of Church cookbooks and from the women in my family, who were amazing cooks and bakers. Not a raisin fan either. I think you could simply leave them out or, better yet, substitute some chopped nuts. Dried cranberries may be overkill -- or might be brilliant. I just don't know. Yes, and home recipes are the best! Just FYI for any lurking vegans, I tried making this with a flax egg and it came out FANTASTIC. I also used walnuts instead of raisins. The dough needed more orange juice than called for to come together, but it rose really well and is just delicious--I'll definitely be making again over the holidays! Thanks, Meghan. I wish I'd known that before I made some not-so-great vegan pumpkin tarts for my brother-n-law for Thanksgiving! Vegan baking is a challenge I have not mastered, obviously.